The opportunity to seize this vast market of unconnected users is here and it is WIDE open. Around 80% of all internet users live in emerging markets (Korea, Brazil, Philippines, etc.). 95% of those users are not online everyday with only 6/30 days of internet access. Billions of these users are missing out on potentially life-changing opportunities that the internet offers. It is time for everyone to be connected. Users are faced with connectivity hurdles that hinder them from having internet access. Big platforms like Facebook and Wikipedia are already offering services that jump over a few of those hurdles by sponsoring free data to their users. Through the use of zero-rating, which allows users to access select Internet services and content without being charged, this enables them to explore their platform data-free. Data plans are getting too expensive for emerging market users to purchase. The cost of 1GB of mobile data equates to 2% of their average monthly income. An affordability hurdle that prevents users to get connected. Since these users cannot afford to buy data, publishers, on the other hand, can purchase it for them. 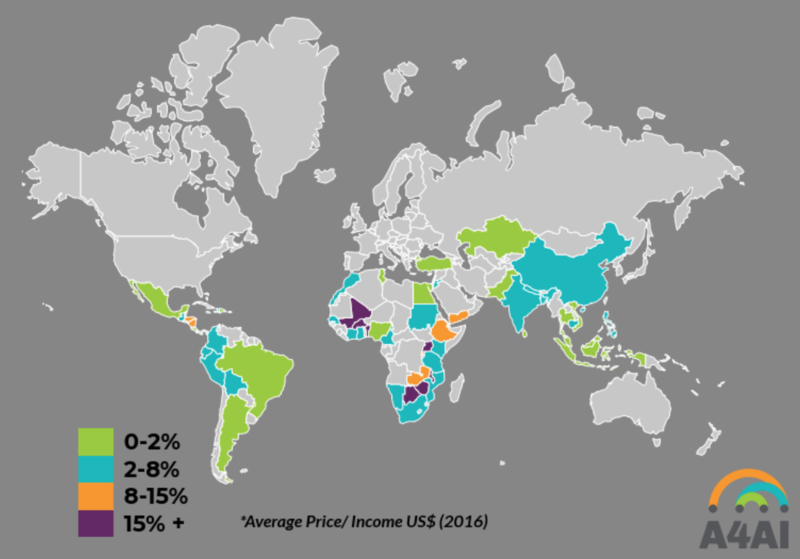 A study by A4AI comparing the percentage of people’s income to purchase 1GB of data in emerging markets. Sponsoring data for users lets publishers bring in new ways of gaining a greater access to emerging market users. 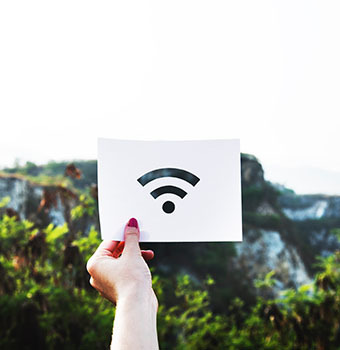 This reduces user acquisition costs by diverting their acquisition budget into solely purchasing data from Internet Service Providers (ISPs). A scenario where these users have free internet access while publishers decrease their user acquisition costs. Win-Win. A study conducted by Syniverse found that a potential $6 billion opportunity for Asia will be gained from sponsored data by 2019, and a $23 billion opportunity worldwide. A perfect opportunity for big or small publishers to access new users and gain potential revenue from it. Benefitting from this system couldn’t be greater. Publishers would gain new users from a new market. Users will have access to their favorite apps and sites data-free. ISPs will have a consistent source of data purchasing. Everyone benefits and it’s only a matter of time before this system becomes a reality.